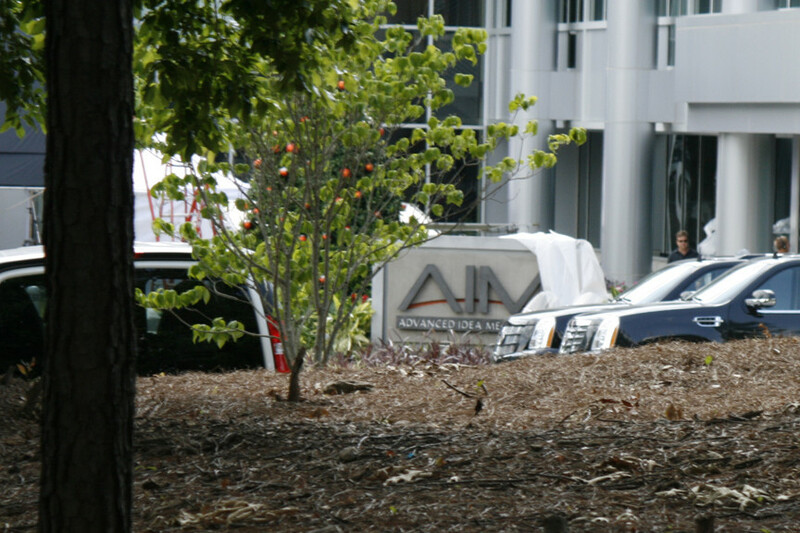 A picture from an Iron Man set is floating around online of a building with a peculiar sign with a logo that most comic fans will recognize: Advanced Idea Mechanics. A.I.M. is an organization with the objective to harness their technological advancements to overthrow world governments. They set out to do this by selling technology and weapons to terrorist groups for profit and pushing revolutions forward. The organization operates with a lot of front companies to distance themselves from some of their endeavors. It coincides perfectly with what we know of Iron Man 3 so far. All the rival companies of Stark Industries are pushing hard to develop their own weaponized armor. And some of them turning out to be front companies of A.I.M. makes sense; they’re hellbent on swatting down other companies and governments, and what’s a better company to overcome than Stark Industries? Tony Stark has the odds stacked against him May 3, 2013, in Iron Man 3.